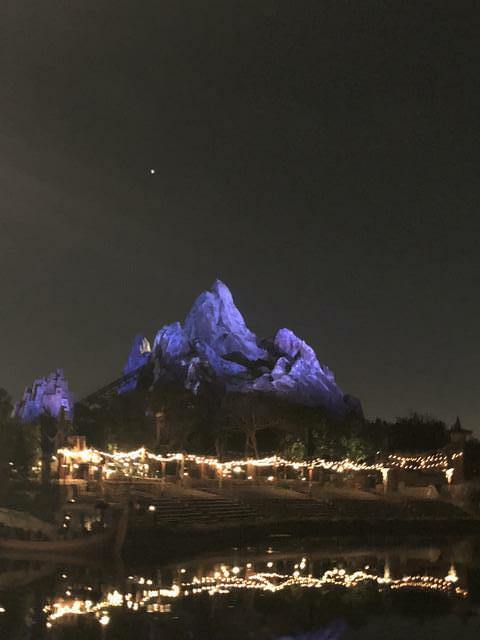 Discussion in 'Disney Trip Reports' started by Dis_Yoda, May 5, 2018. It is really easy to park at the expo. We've never taken the bus to the expo as we like doing things on our own time. You don't have to wait for a bus to pick you up at the hotel or expo when you drive. Depending on when you arrive -you may have a further walk but we never found it to be that bad. Thanks for the info. Might as well take advantage of a car during the rare occasion when we have one. While we didn’t get anything now - we made note of it to come back later in the trip as being able to get an ounce of a $2,000 bottle of wine for $90 would be worth it. We also noted they use the Coravin System for those wines to ensure they are properly kept. Wow if this happens I totally can't wait to hear about it!!!!!!!!!!!!!!! know that Wreck It Ralph is going to start having an experience as well so we may do that in January! Gonna plead ignorance as I really don't know what the void is, but looking to do some different stuff in February for Casey's birthday is this something you can walk in and do or do you need a reservation? She would love, love, love wreck it ralph! It’s pretty which makes it fun! Aw, bummer that you got split up! But glad you enjoyed it anyways. That email is super cool! Neither Trevor nor I got it when we did it; I didn't even know they sent that! Neat. Cute! I love all the stuff at Amorette's. It's ok we got split up as my husband really likes video games. I knew there wouldn't be much interaction inside the actual experience other than game related stuff so it was fine! I wonder if he got the email as he did well or maybe its glitchy? I wish I could have tried some more things at Amorette's but too much food and not enough space! Wow that is crazy they would split you up! They should have had the party of 6 split to 4 and 2! Next time you do it, you should make sure to not let them split you up! Oh and you can always ask for the photo to be just you and your husband, though it's not super special since you are in a big helmet! We could have probably pressed the issue to play together but we didn't. It did end up ok as we were together up until we got our gear on. As we finished at slightly different times - we missed the photo together. They had set up the photo to be the group of 3 and then just me when we finished our mission. If he hasn't used it, it's really great! I was a DIEHARD Model in a Bottle user, but this one works so much better and is at a better price than MiaB. He won't use it until Monday when he heads back to work. I'm glad to hear you recommend it as well! I'll just be happy to have a cheaper dry cleaning bill. No problem! 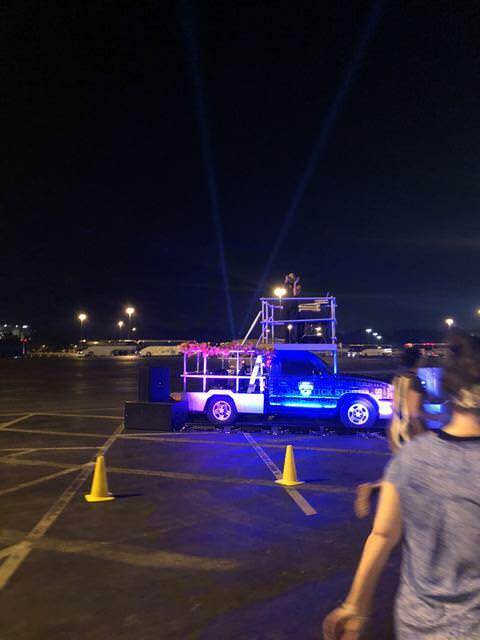 We don't often use our vehicle at Disney but the Expo is definitely one of the things that makes sense for us to use it for. Oh, it happened and we actually ended up with more than 1 100 Point Wine. Now to win the lottery so we can drink like that on more than one occasion. The mission for Wreck It Ralph isn't up yet but it will be probably shortly after the movie comes out. You should get a reservation as they were turning people away when we were checking in. It's about $29.95 per person and very well worth it! Pretty drinks are always better! 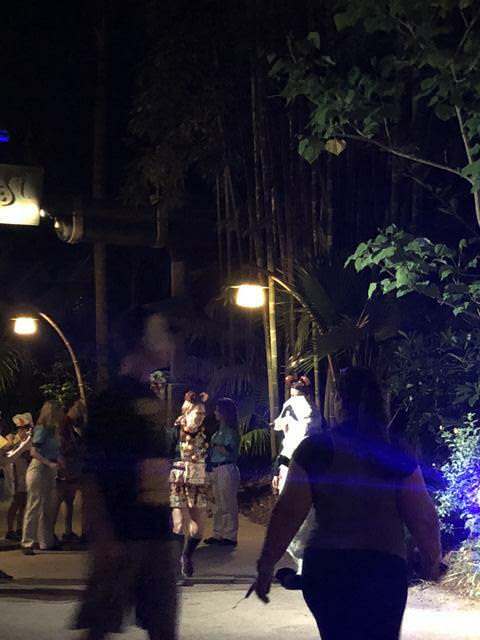 Around 4:45PM, we headed over to Animal Kingdom - Kidani Village as we had dinner reservations set for Sanaa’s opening slot. The walk over was pleasant and took about 10 minutes lobby to lobby. We arrived as Sanaa was completing their opening ceremony which was nice to catch a few seconds of. We were sat in the quiet corner of the room with a little bit of view of the savannah but that wasn’t a huge deal for us since we already had that view from our room. It was cute seeing the younger giraffe stumble around. My husband kept it light with the Savannah Cider. I actually had this back in my college days when I was in Africa and I remember loving it then. Glad he loved it as well! 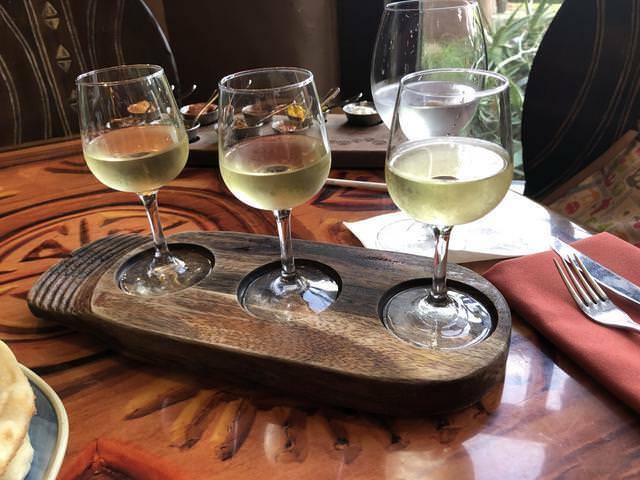 I went with the wine flight. Of the three, my favorite was the Chenin Blanc. I’ve discovered recently I really enjoy that type of wine anyway so that isn’t a shock. I just find it to be a nice everyday wine that goes well with food. My least favorite was the Unoaked Chardonnay. It probably would have benefited from being oaked as it felt unfinished. 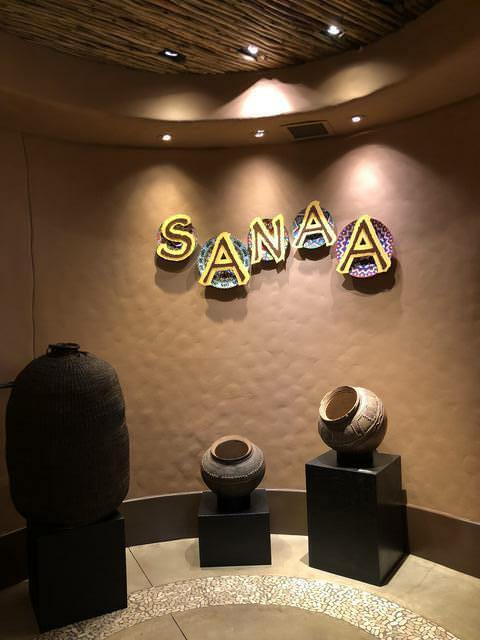 We started with what everyone at Sanaa typically starts with. We were sad to see they removed the 3 dip option as it felt like we wasted a lot of the dish as we really only had a handful of them. We tried to just get the three types of Naan but apparently there was a problem with their oven and they were out of Spiced Naan for the night. At least the regular naan and garlic naan are so good! Our favorite continues to be the Red Chili Sambal. I also loved the tamarind and coriander chutney where my husband is more a roasted red pepper hummus man for his 2nd favorite. 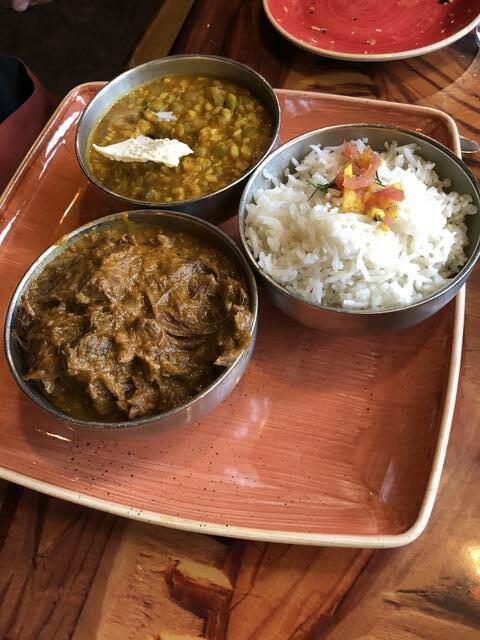 My husband went with the braised beef with lentil dhal. His favorite of the two was the lentil dhal. It was at Sanaa during his vegetarian period that he discovered his love of lentils so I’m not shocked he still loved that more than the beef. DLo, StarWarsMomofGirls!, disneyAndi14 and 4 others like this. We got paired with a party of 6 for our time slow which ended up kinda sucking because we got split up as a party of 4 goes through the experience together. 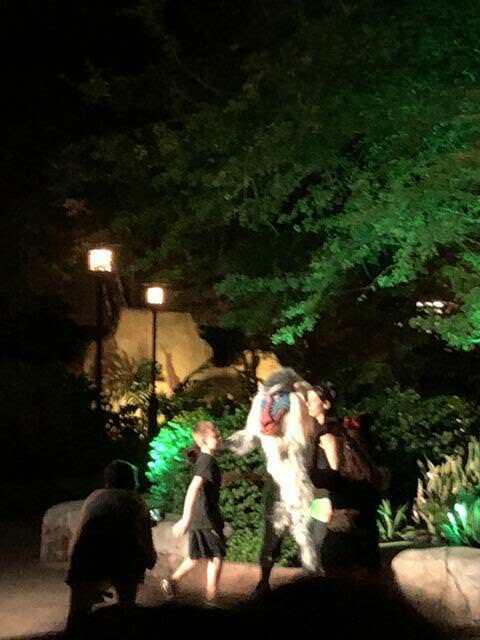 Glad you had a good time but what was Disney thinking separating you guys up? It should have been you with 2 of the other party. 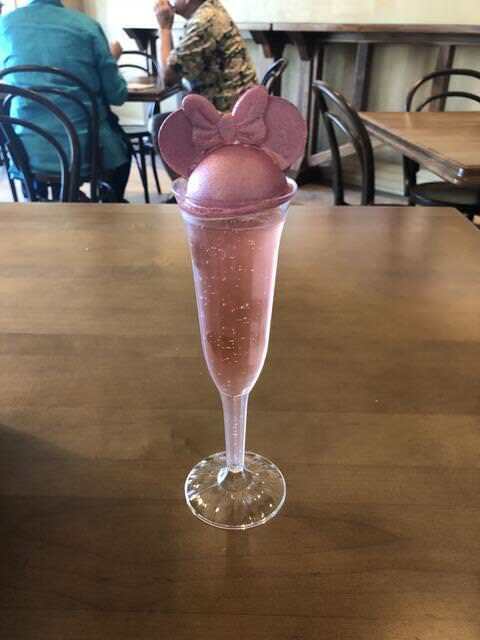 , so we killed some more time by going to Amorette’s Patisserie where I got a Millennial Pink Sparkling Cocktail. That looks so almost too cute to drink. Sanaa looks good. 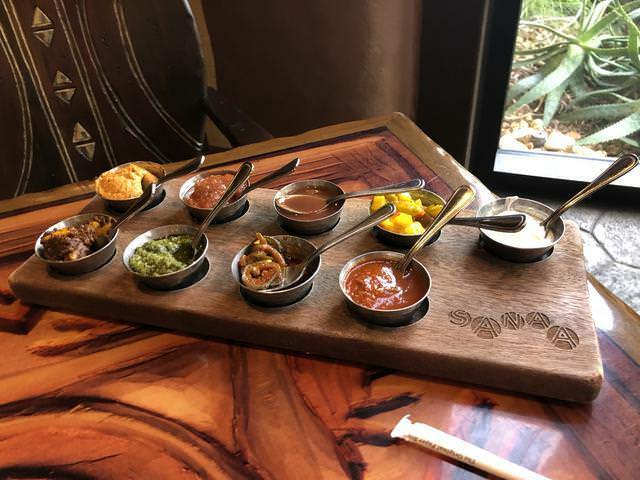 I think next time we stay at AKV, I'll convince DH we need to try it again. We tried it in 2009 on a trip when we did around 20 table service restaurants. I was quite impressed with Sanaa. I was also disappointed they didn’t have the smaller naan option but I still got it anyways. Sorry to hear Enzo's was just meh. I haven't tried it yet. That 40% discount is telling in terms of how business is. There are just so many spots at Disney Springs with Wolfgang Puck opening soon and Jaleo by Jose Andres and even more, I think. I wonder if it's already over saturated? Or maybe this is the calm before the storm that will be Galaxy's Edge opening and there still won't be enough spots! I've wondered about The Void. Kinda odd they split you up but happy to hear you still had fun. I've wanted to try it but worried it would be too awkward as a solo. Does your performance impact the experience of the rest of the group? I'm terrible at video games and would feel badly if I screwed it up for the rest of the group. Love Sanaa. We took a break this last trip, but I missed the bread service. 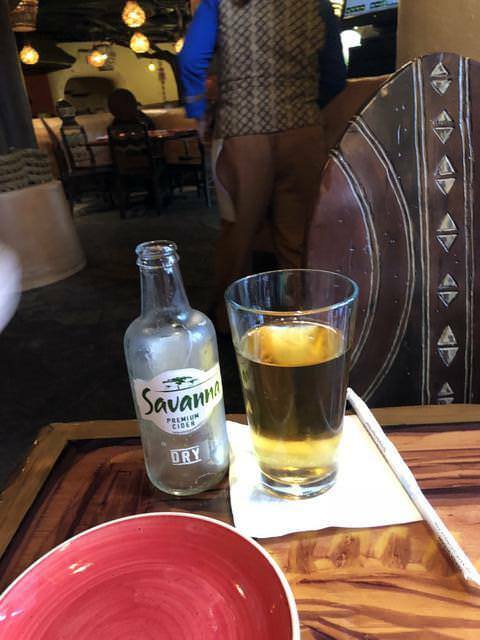 Love that Savanna cider, too! I actually had this back in my college days when I was in Africa and I remember loving it then. You got to go to Africa in college??? That is amazing!!! Oh you are making me so hungry. Hands down the best appetizer in the world! It was at Sanaa during his vegetarian period that he discovered his love of lentils so I’m not shocked he still loved that more than the beef. Yum! I love lentils too. I was never even a vegetarian but I'll take Sanaa's vegetarian options over the meats any day of the week. Sanaa! So good. Love that bread service. The Void gets good reviews, I know my son would love it. Your pink sparkly drink looks so cute! 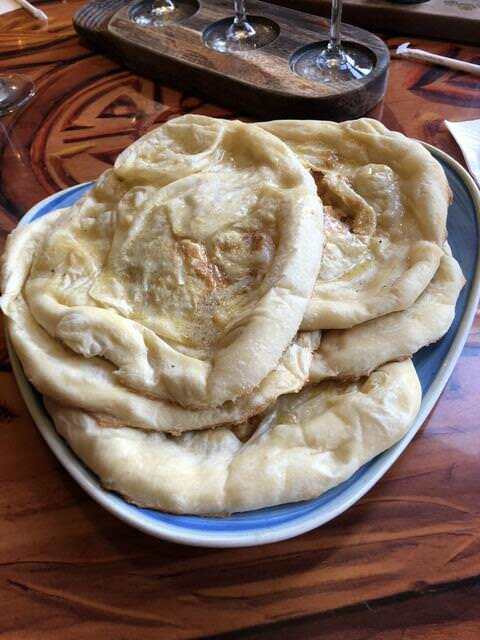 Sanaa bread service is so good, we are going to go there in January, we are staying at AKL. Fun way to spend your day/evening before the race! Well, Disney doesn't own The Void but rather a 3rd party. It's ok though! We really enjoyed the experience though and I think we'll do the Wreck It Ralph one in January! Almost but so tasty! I wished they still had the blue version as that would have been even prettier! The menu has changed a fair amount in 9 years, I bet! 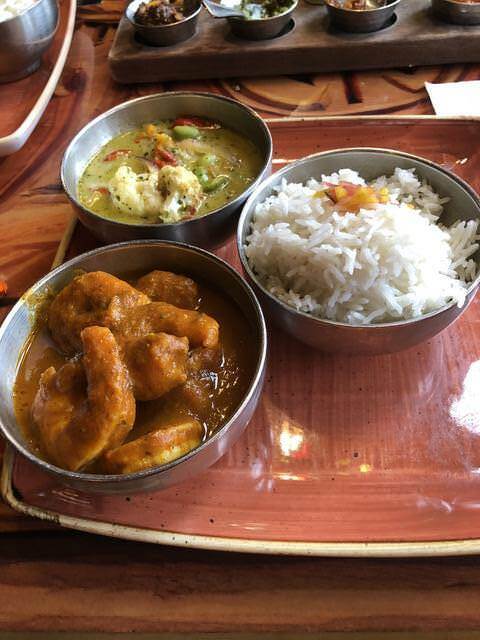 We enjoy it but pretty much will only eat there when we stay at AKV due to the ease of getting there then. You should have just joined us at our table! Probably would have created less waste on the bread service then . We loved it for dinner so we'll just stick to that in the future. They are so many spot but when we were there at night - every place was hopping so they do need more places for the evenings. Galaxy's Edge hype is starting to scare me a bit and I love Star Wars! I don't think it would too awkward as a solo as you are fully immersed in the environment around you. I didn't communicate with the team much but we still knew what to do as the game will guide you along the way. The only thing performance wise that affects the group is the one puzzle solving thing but I just did that without the group help as they were having too much fun just shooting things and I like puzzles (and I came home from this trip with 3 new puzzles, 3 new lego sets, and 2 other puzzles that I ordered on Amazon as they were way cheaper than Japan). One of these days you need to get there! I wonder if they still do that animal specialist. That would be fun! If not, its still a good lunch. Coming up! This trip report is going to take a bit of time to finish up with the length of the trip being so long! That is awesome you got to walk right in! You were lucky as I've heard it can be hard to walk in. It is so much fun to shoot stormtroopers! I bet you got to eat lots of other wonderful goodies though! Haha! This trip was more planned than some of our others. With my new job, I could probably start planning other trips since I have more time on my hand. I did! Spent a little less than 3 months over there. Glad I went - probably won't go back to the areas I was at but one day, we may do Kenya. I know! Coming back to reality today is no fun. My chicken and rice tonight just isn't the same! They do have some great vegetarian options there! I do enjoy the duck and spicy shrimp though. I think those are my two favorite proteins in the world though. It is! So much so, my husband asked for me to switch up our Marathon Weekend plans as he wants to eat Sanaa pre-Marathon. As he's the one running - what he wants goes that trip! I hope your son joins you on a trip one day and gets to enjoy it! Have fun on your AKL trip! I love that hotel! It was a good way to not do too much before the races! We tried to not do long days until after the weekend! CaliforniaGirl09, kastoney and rteetz like this. 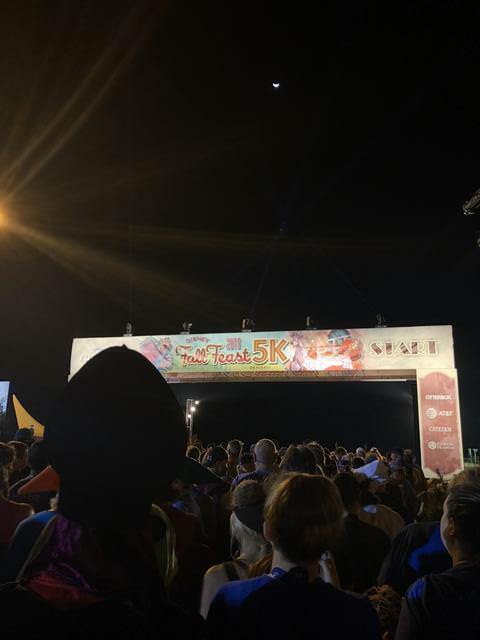 3AM comes early, especially when you are waking up this early to run ‘just’ a 5K. 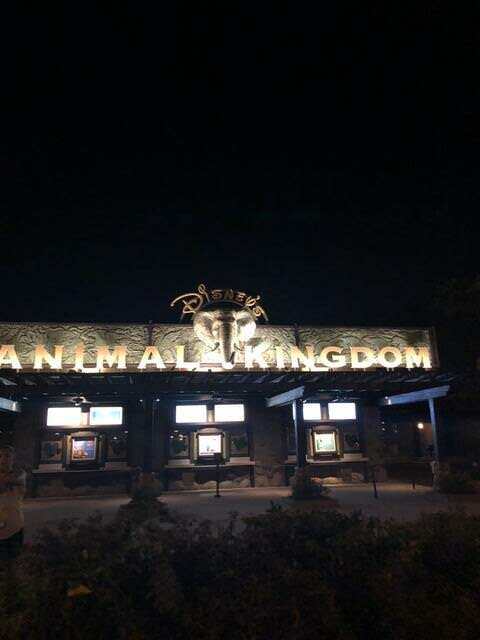 Only at Disney! 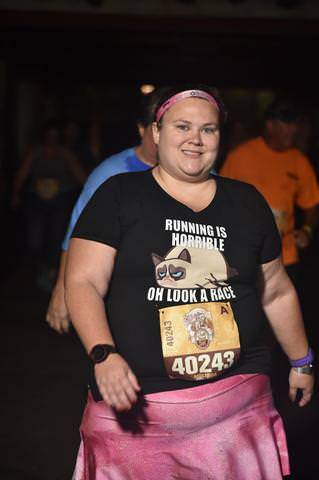 It also didn’t help that my husband wasn’t running this race so he laid there in bed and just played on his phone while I got ready. I ended up leaving the room about 15 minutes after I woke up and I headed on my way downstairs. There was already a bus loading out front so I hopped on with other people in varying stages of alertness. 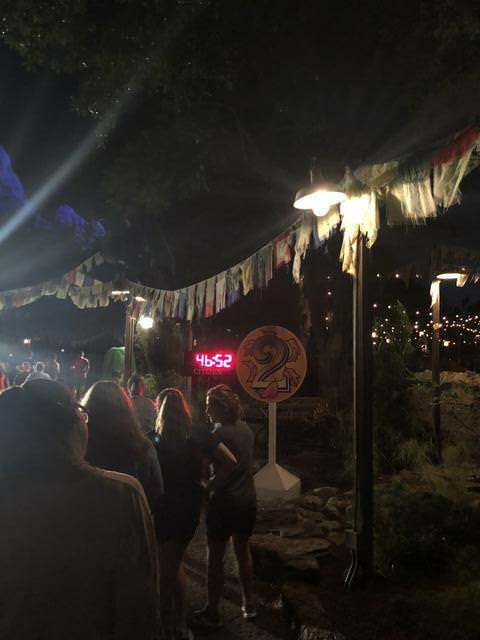 Right at 3:30AM, the bus pulled out and headed to Animal Kingdom. It wasn’t a very long ride until we did an obstacle course of driving through the parking lot. I did the long walk from the bus stations to the start area. 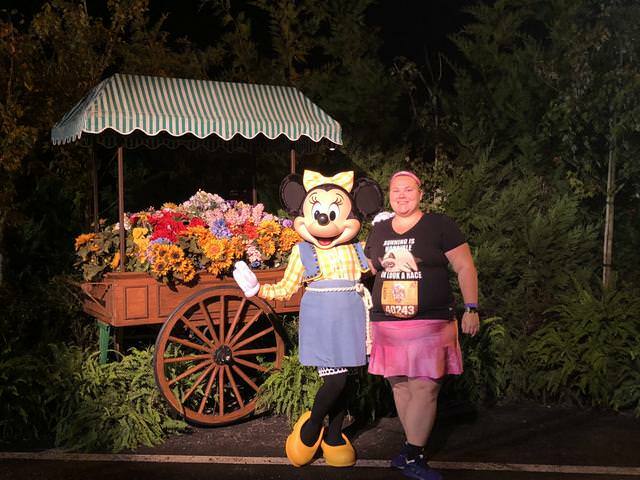 As I had no cash, no id, no credit card - there was no coffee or snack in my future so I got in line to meet Minnie as Mickey’s line was entirely too long. While going through the line, I scared @rteetz as he wasn’t expecting me to say hello to him this morning so I was amused. The photopass person was rather blurry this morning. 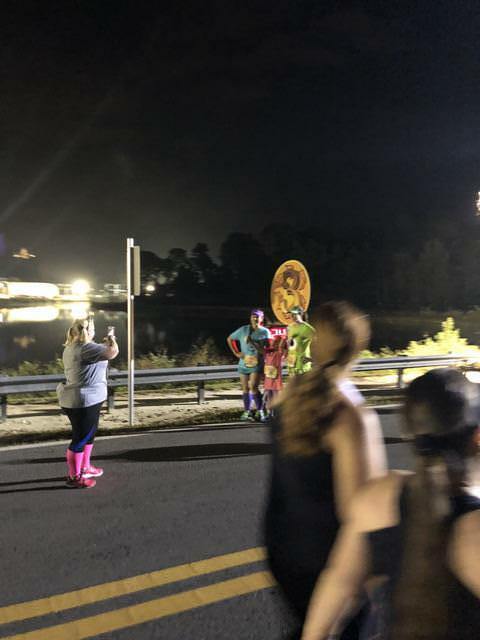 Continuing with bad race photos - we entered Animal Kingdom right before Mile 1. 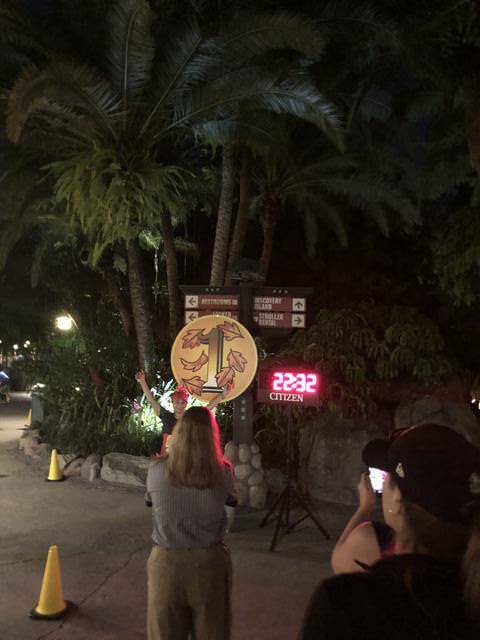 Mile 1 had a very boring mile sign but its been so long since I’ve done a Disney 5K - I kinda forgot they phone those end and keep the better ones for the 10K and longer races. They had Meeko out but his line was horrible. 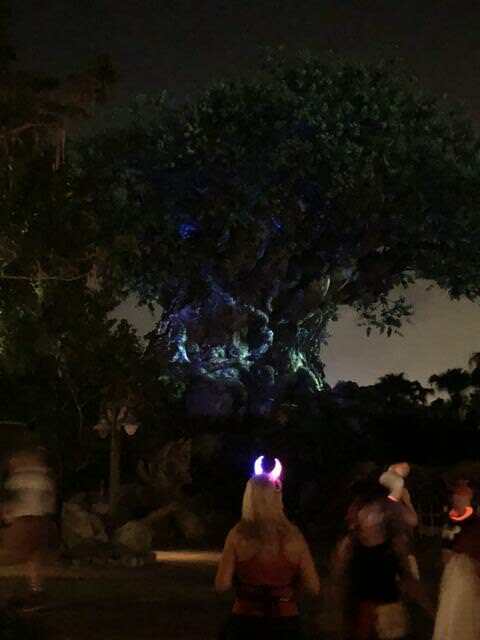 They had the Tree of Life doing its nighttime show during the race which was awesome to see. 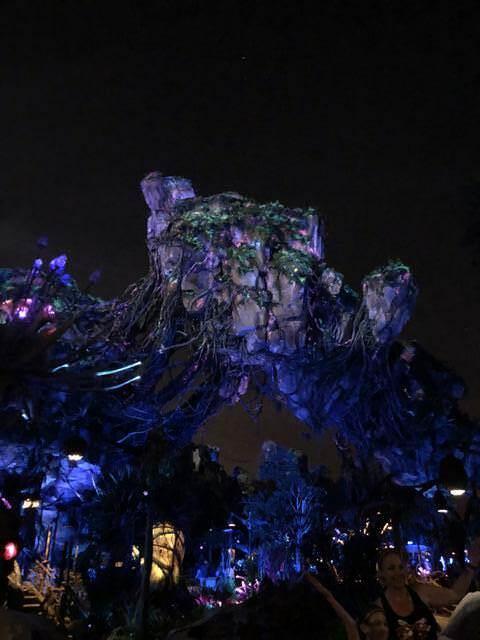 Pandora was also all lit up. As we entered Africa, Rafiki was out where I got another blurry photo. Everest was also very pretty this morning. This photo was taken somewhere between Mile 1 and 2. Most photos from this race will never see the light of day as I take horrible race photos and this is the best of the worst. 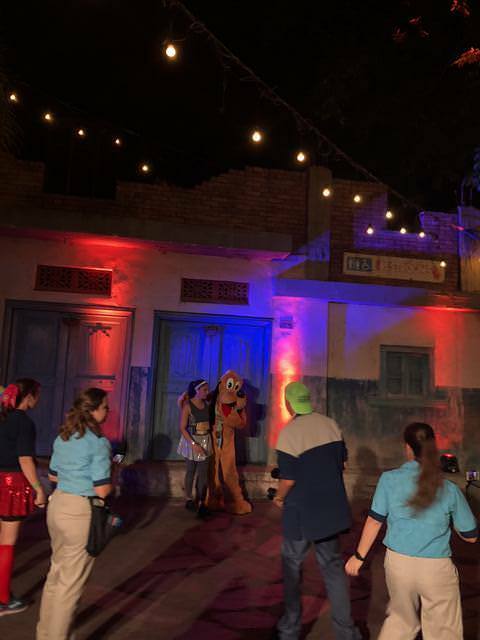 Pluto was out in Asia. 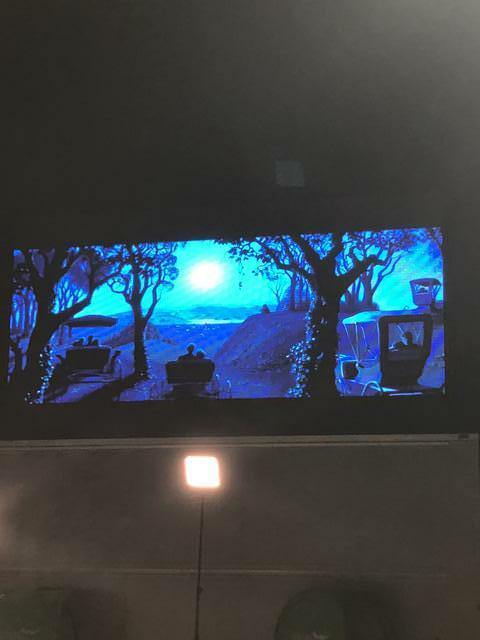 At the out and back - they had clips from Lady & The Tramp Playing. They were playing the Bella Notte clip. I actually ended up getting my medal from another disboards member - @Bree! It was nice to see her out and I believe she enjoyed volunteering, especially at medal hand out. 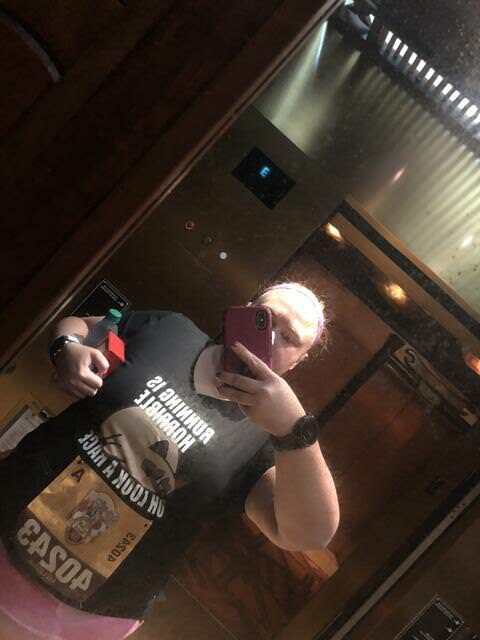 Picked up my powerade and foodbox (which had no oreos but instead pretzels, fake cheese chips and 2 other things that went into the trash) It was then a long walk to the buses where eventually I made it back to the room to clean up and get dressed for the day as we had a special meal planned at MK because of this race! DLo, kastoney, disneyAndi14 and 4 others like this. I think I walked past you and your husband on Saturday, maybe? It was the day we both had yak and yeti. Were you wearing a long sleeved being shirt that was possibly food and wine with Remy on it? It was colder that day. The lack of sleep made for lack of awareness. I didn’t realize it was you at first and I thought you were waving to someone behind me. 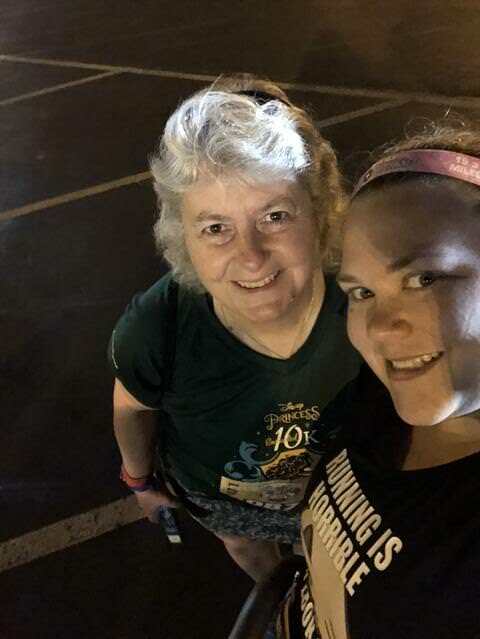 Congrats again on the 5K! Yay! Love the medal! How cool Bree gave you your medal! That medal is adorable! Worth the race? how fun that Bree gave you your medal. 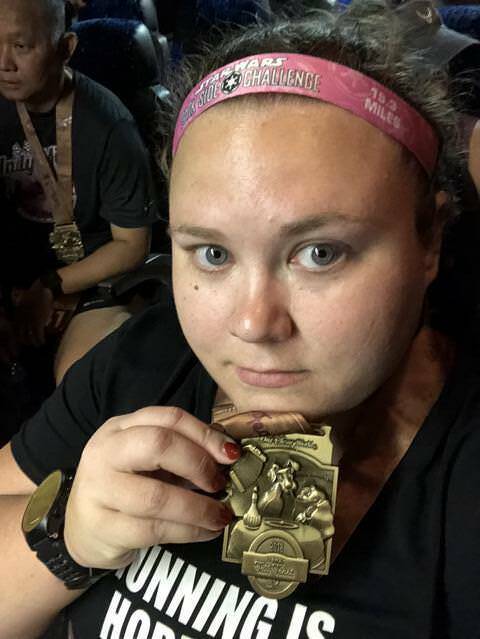 I love your thought process, I would definitely do the Disney 5K for the medal, haha and to be in AK at dawn! I would walk it as well, I am a fast walker and walk about 4 miles a day but no way can I run or do I want too! Yes! That was us. Hopefully I didn't have RBF going on. Sorry we never ended up running into each other! Hehe. It was funny to me! How you stay out so late before races amazes me. I need my sleep! I'm happy I get to hang it up in my office day as today is my first day back at work! I used to be more into it. I need to find motivation again as exercise is good and I really don't enjoy the classes my gym has. That's one of the nice things about these races - they have so many things to look at or out on the course that are well themed. Totally! My cocker spaniel puppy approves. It is! First time in all my races that I knew who I was getting a medal from! It is! AK in the dark is so pretty. 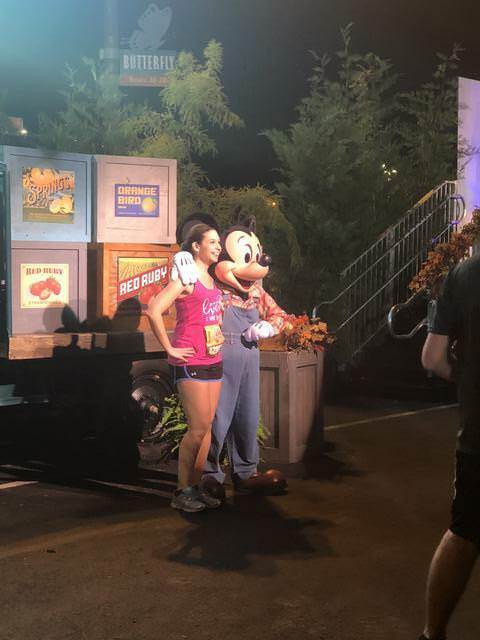 Disney 5Ks tend to be mostly walkers with a few people that race it as they are promoted as family friendly events. rteetz, TeeterTots and disneyAndi14 like this.